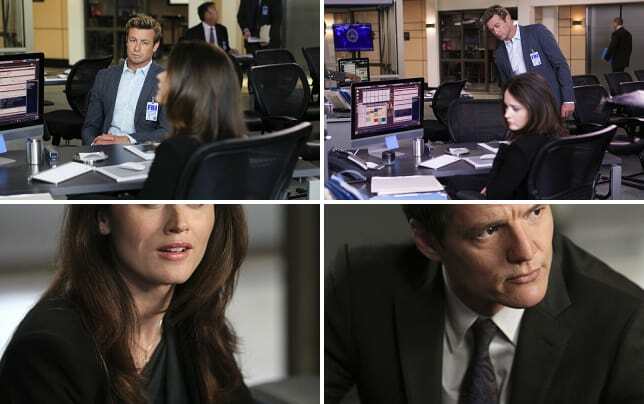 The Mentalist Picture Preview: What Will Lisbon Do? The clock is ticking on The Mentalist. Will time run out for the victims the woman abducted in the human trafficking ring, with some being shipped overseas while others are having their organs harvested? We've got your first look here at The Mentalist Season 6 Episode 21, as the FBI doubles its efforts and Jane and Lisbon focus on finding the criminal mastermind behind it all. As if that weren't enough drama, Teresa finally makes a decision about her future. Will she choose to head off to Washington D.C. with new boyfriend Marcus Pike or will she decide to stay in Austin with Jane. And if she leaves, how will Jane reacti. Check out these photos from "Black Hearts," set to air Sunday, May 11 on CBS. The Mentalist Photos from "Black Hearts"
NOTE: if you can't get enough of Patrick Jane you can watch The Mentalist online any time here at TV Fanatic. I know it's a big decision but it's a decision you need to make. Permalink: I know it's a big decision but it's a decision you need to make. I wouldn't be where I am today if it weren't for you. Whatever decision you make, it's been an honor. The Mentalist Round Table: "Black Hearts"